Tennessee is a fantastic state to live in. It has everything a potential new resident could want; a wonderful climate, a growing economy, great real estate prospects, history, culture, friendly people, and plenty of things to do and see. 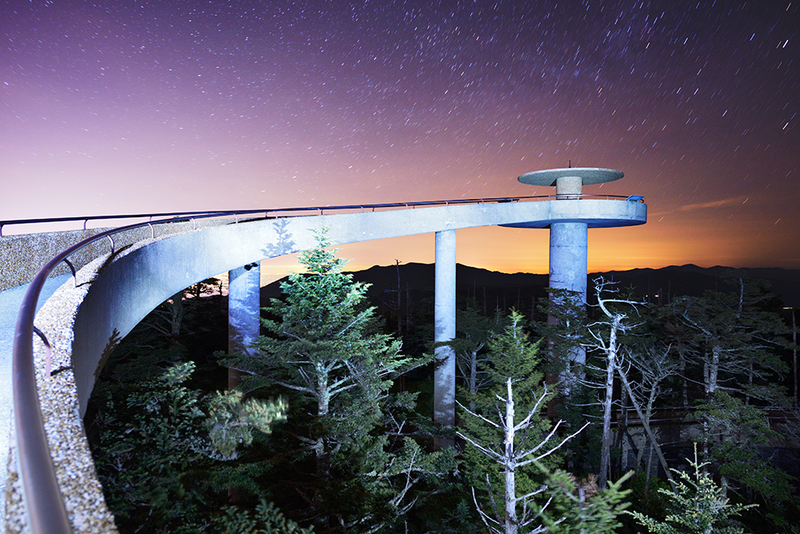 Tennessee is a landlocked state in the Southern US with a population of around 6.6 million. 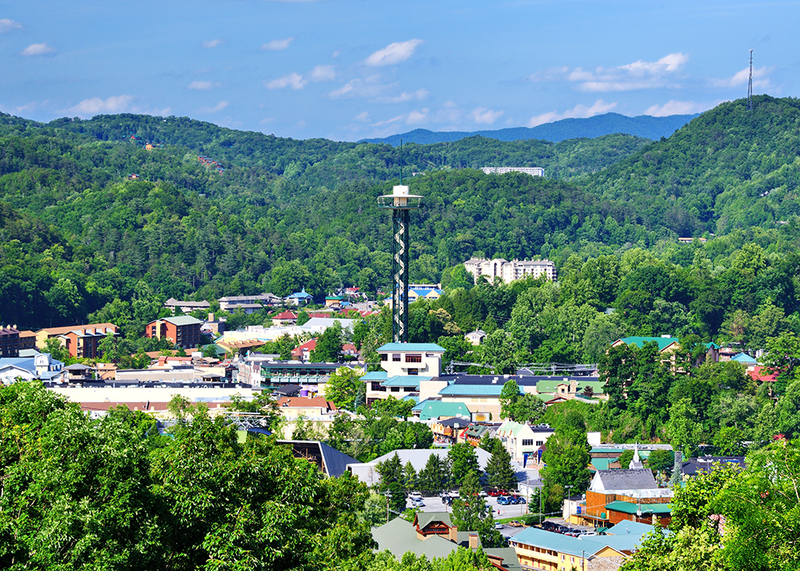 Famous for being the hub of the music scene, the state has many attractions such as the Country Music Hall of Fame, Dollywood, Jack Daniels Distillery, access to the Appalachian Mountains, the Smokey Mountains, and many others. The state is positively growing in terms of job development and business, and while somewhat cheap, home prices are steadily rising in many areas. According to the Tennessee Housing and Development Agency, the median home price as of 2016 was $185,000- which is almost on par with the national average of around $200,000. According to the same article, homes in Tennessee are moving fast, and home values are rising along with that. Overall, Tennessee is much cheaper and has better value than other places in the country. With a much lower tax rate and a business-friendly environment, the state is a far cheaper place to live than coastal states like California or New York. For instance, the average home price in suburban Orange County California is around $670,000. This is more expensive than the average home price in any city in Tennessee; all of which have ample amenities and significant volume. Urban areas around Nashville, Chattanooga, and Knoxville tend to be more expensive, with the exception of Memphis. Outside the cities, home prices can decrease drastically into prices lower than $100,000. The ten most expensive areas in the state are: Brentwood, Nolensville, Signal Mountain, Franklin, Mount Juliet, Hendersonville, Green Hill, Goodlettsville, Spring Hill, and Murfreesboro. Brentwood, Franklin, Murfreesboro, Henderson are all near Nashville. Home prices in the early part of the 21st century were steadily increasing. According to Federal Reserve Economic Data (FRED), in the years from 2007-2009 during the recession, home prices in Tennessee actually increased. However, from 2010 to 2013 the real estate market went into a slump, in which 2012 was the sharpest fall. Since then, starting in 2015, the housing market has rebounded and superseded pre-recession levels. Homeownership rates peaked at 72.4% in 2005 before falling to 66.4% in 2016. Tennessee has a mix of real estate for sale, making it a great state for all budgets. The following paragraph references pricing information from 2009 to help show how the state held up during the recession. Counties such as Sevier, Blount, Fayette, and Hardin had higher median home prices, in the $260,000 range; Hickman county, Putnam, Hawkins, and Cocke county median ranges fell between $167,000 and $240,000; Crockett county, Gibson county, Hancock county, and Lincoln county all had average property ranges from $111,000 and below. To help put that in perspective compared to the rest of the country, the national average for the United States was approximately $178,000. Generally, the counties with lower average rates lay in the northwestern corner of the state, and the average prices gradually increase the further east you go; pretty much all of the counties on the eastern border of Tennessee are all in the higher bracket of the overall state average bracket ($240,000 and up). Tennessee properties have retained their value through the recent tough real estate times. 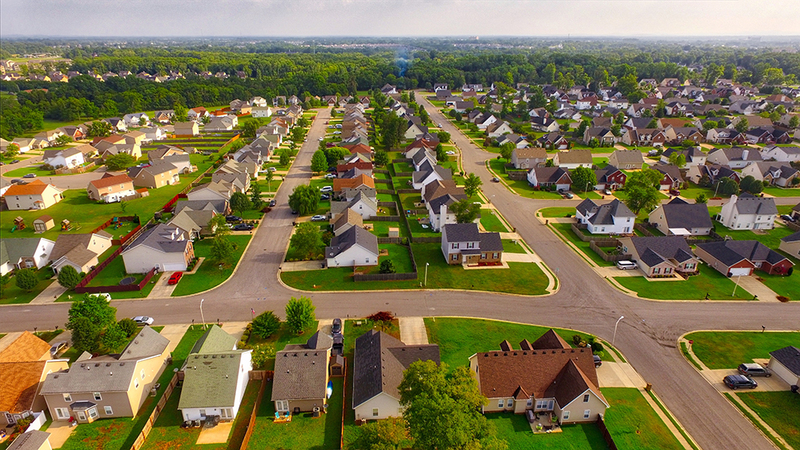 At any given point, Tennessee has thousands of properties available; everything from land to develop and multi-family homes to single-family homes and condominiums. There are plenty to choose from! Tennessee's rebound has been much better than many other parts of the nation. For instance, growth in Tennessee has been more robust than in places like Nevada and Michigan. Compared to Michigan, Tennessee was far more recession resilient and has experienced a healthier rebound. Nashville is Tennessee's largest city and capitol, with a population of 684,410. Nashville is probably known best as being the hub of the America's country music scene. Some of the biggest names in country got their start or are based out of Nashville. 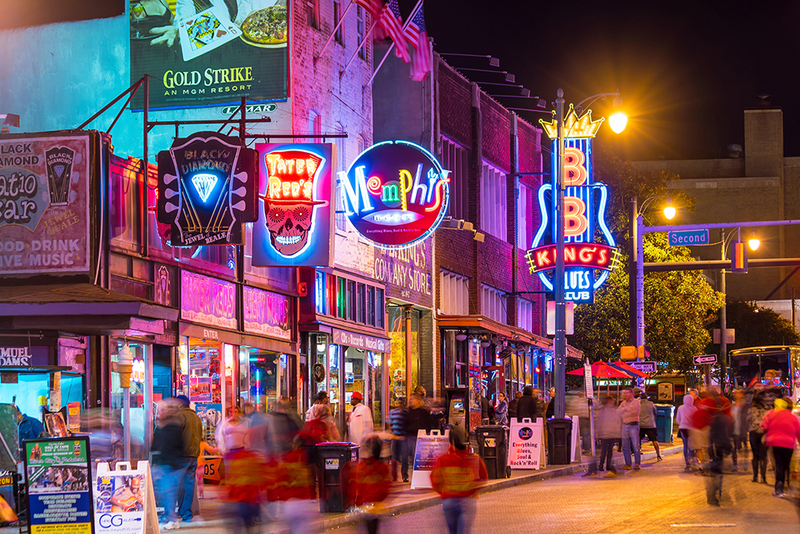 Tourism is a major factor in Nashville's economy, and much of it is centered around the city's country music heritage. Attractions include the Country Music Hall of Fame, the Belcourt Theatre, and the Tennessee Performing Arts Center. A popular area known as “the District” in downtown Nashville is home to many honky-tonk and country themed clubs and bars. This area consists of Lower Broadway, Printer's Alley, and Second Avenue. Music row is another popular location southwest of downtown that is a major hub of country, gospel, and Christian music. Civil war history is also a tourist attraction. Sites such as the Battle of Nashville, the Battle of Franklin, and the Battle of Stones river are all within the Nashville area. Besides tourism, Nashville has thousands of jobs in the music industry. Nashville is home to the big four record labels. The city is also the headquarters for Gibson guitars. A major industry in Nashville is in healthcare, being home to companies such as Hospital Corporation of America. The automotive industry is also present in the city, with Nissan North America's headquarters located in Nashville. Bridgestone, another major manufacturer, has its headquarters located in Nashville. The city is home to the headquarters of several Christian churches such as the Southern Baptist Convention, United Methodist Church, and the National Association of Free Will Baptists. Fortune 500 companies such as Dell, Dollar General, Hankook Tire, Tractor Supply Company, and UBS have offices in Nashville. The Tennessee Titans NFL team is located in Nashville. Currently, the median home price in Nashville is $289,900. Homes in the city are moving fast and the price is increasing. According to an article by the Tennessean, home prices in Nashville rose 11.6% from 2016 to 2017. With homes moving fast in the county, home prices are comparatively low now, but will increase if the area keeps growing. Nashville is easily the most popular city for residents in Tennessee. 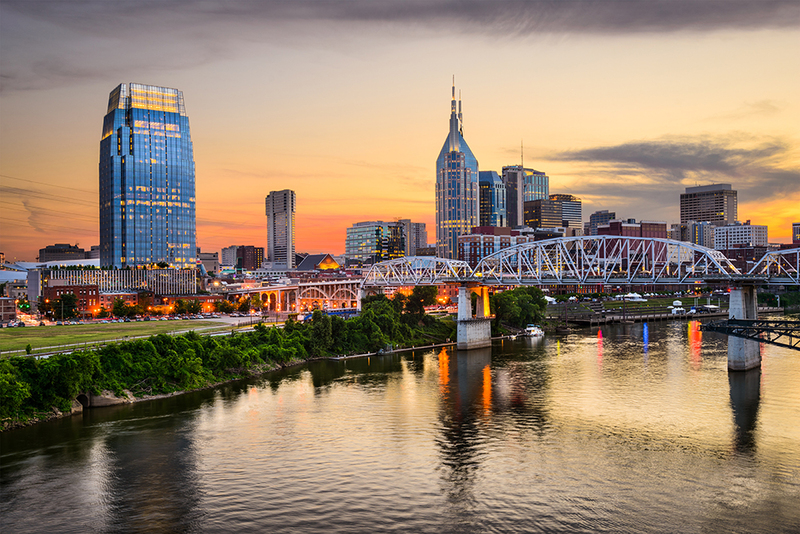 With various employment opportunities, sightseeing attractions, notable places, prime real estate prospects, incredible restaurants, exciting nightlife, and easy public transportation, Nashville tops the list. Speaking of lists, Nashville recently topped Kiplinger Financial Magazine’s “Smartest Places to Live” list as the number one entry. For those who want close access to Music City, USA but who do not necessarily want to live there, Nashville’s outlying suburbs are great. Gallatin, Brentwood, Franklin, Goodlettsville, White House, and Thompson's Station are just a few of the more favored Nashville suburbs. 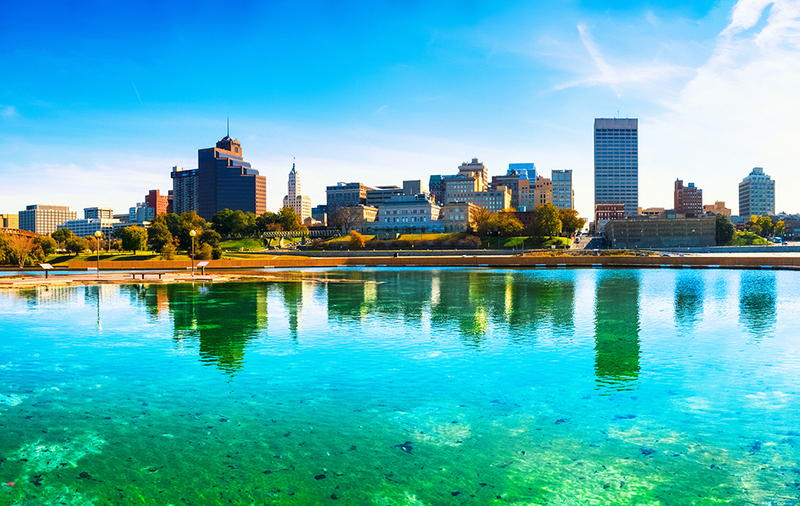 Memphis is Tennessee's second-largest city, with a population of 652,717. This city is known for its musical heritage, particularly blues, and much of its culture is based off that. Beale Street is a national landmark, representing the city's music history. There are many notable restaurants and clubs in this area as well. Musicians such as Aretha Franklin, Elvis Presley, Johnny Cash, and B. B. King launched their careers out of Memphis. Shelby County’s seat boasts local festivals such as Memphis in May, a month long event celebrating Memphis’ people and culture. Memphis sits on the Mississippi river, is intersected by numerous freight railways, and two interstates, making it an industrial hub. This city is the corporate headquarters for 9 different Fortune 500 companies, and was included in the top eight entries of Inc. Magazine’s “50 Best Major Metropolitan Areas” in the United States for beginning and expanding businesses. The city is home to many visual arts centers and museums such as the National Civil Rights Museum. Interestingly, the Civil Rights museums is built around the motel where Martin Luther King Jr. was assassinated. Memphis is home to Fortune 500 companies such as FedEx, International Paper, and AutoZone. Other large companies based out of the city are Allenberg Corporation, American Residential Services, and True Temper Sports. Basketball fans can catch Memphis Grizzlies NBA games. Memphis is also a hub for the filmmaking industry; the Memphis and Shelby County Film and Television Commission have assisted in making box office films such as Nothing But the Truth, Soul Men, The Firm, among others. The median home price in Memphis is $84,000 - well below both the state and national average. Memphis also has a higher average crime rate than Tennessee and the country. Based on data from neighborhoodscout.com, the least safe areas are usually near downtown, while safer neighborhoods tend to be located away from the city's center. The Safest neighborhoods in the city are Macon Hill Rd/ Berry Hill Rd; E Shelby Dr/ S Germantown Rd; Walnut Grove Rd/ Rocky Point Rd; Shady Oaks Ln/ S White Station Rd; and N White Station Rd/ Rich Rd. Knoxville is Tennessee's third largest city, home to 186,239 residents, and the county seat of Knox County. The city has consistently been ranked among the most affordable and livable cities in the nation by publications such as Forbes. Easily accessible via one of the two nearby interstate highways, Knoxville is a popular location for distribution and warehousing companies such as Bush Brothers and Company and Pilot Corporation. It has great educational opportunities at institutions such as Knoxville College and Johnson Bible College, and teems with entertainment, culture, and unique attractions. Knoxville hosts a wide array of festivals, concerts, and shows. The Dogwood Arts festival is held in Knoxville and is a 17-day event with art shows, craft fairs, food, and live music. Cultural festivals occur such as the Rossini Festival celebrating Italian culture and the Kuumba festival celebrating black heritage. Knoxville Symphony Orchestra and the Knoxville Opera are also popular venues. 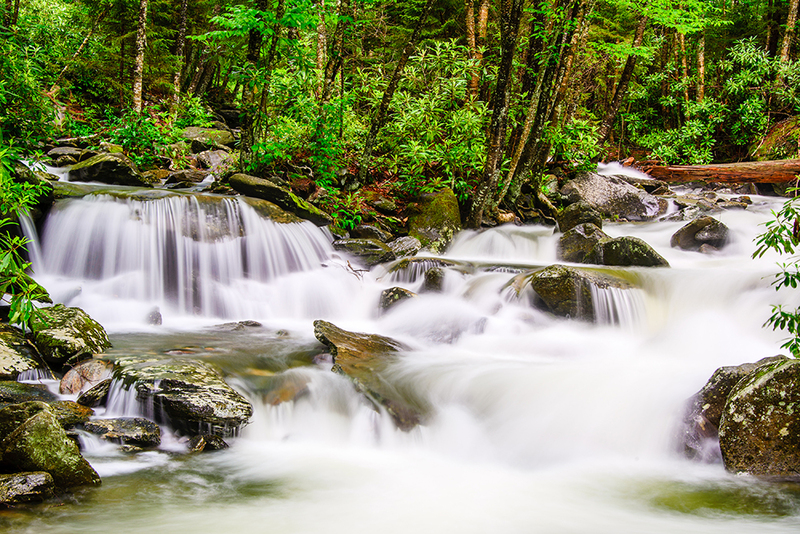 The Great Smokey Mountains National Park is near Knoxville. Knoxville has consistently been ranked among the most business friendly cities in the nation by publications such as Forbes and Kiplinger. The Tennessee Valley Authority- dating back to the depression era- is the largest public power provider in the US, employing thousands of the people in the Knoxville region. Major corporations such as Regal Entertainment and Scripps Networks Interacted are based out of Knoxville. The median home price in Knoxville is $175,000- or $106 per square foot. This is a good bit over the state average of around $144,000, while still under the national average. However, considering Knoxville is a growing area with plenty of jobs, that is more reasonable than many other areas of the country. Being Tennessee's fourth largest city, Chattanooga has a population of 176,588. Located along the Tennessee River and at the foothills of the Appalachian Mountains, Chattanooga has plenty to do. There are lots of trails to hike in the nearby mountains, as well as surrounding caverns where visitors can explore. Other attractions include the Tennessee Aquarium, the Hunter Museum of American Art, as well as the unique International Towing and Recovery Hall of Fam and Museum. Chattanooga is also home to the Tennessee Valley Railroad System, which is the largest in the Southern United States. As for the arts, Chattanooga is home to the Tivoli Theatre (constructed in 1921) and the Chattanooga Symphony and Opera. The Tennessee RiverWalk is a thirteen-mile trail along the Tennessee river that is popular among resident and visitors. Outdoor sports such as regattas, bicycle marathons, and Ironman competitions are popular in the city. The city is home to the University of Tennessee at Chattanooga and Chattanooga State Community College. It has won numerous awards including an All-American city award in 1962 and is one of the few municipalities to own its own typeface Chatype. Major businesses in Chattanooga are BlueCross BlueShield of Tennessee, National Model Railroad Association, AT&T, T-Mobile USA, among many others. The Volkswagen Group of America has a one-billion-dollar plant operating in the city. The median home price in the city is $165,000- or $115 per square foot. 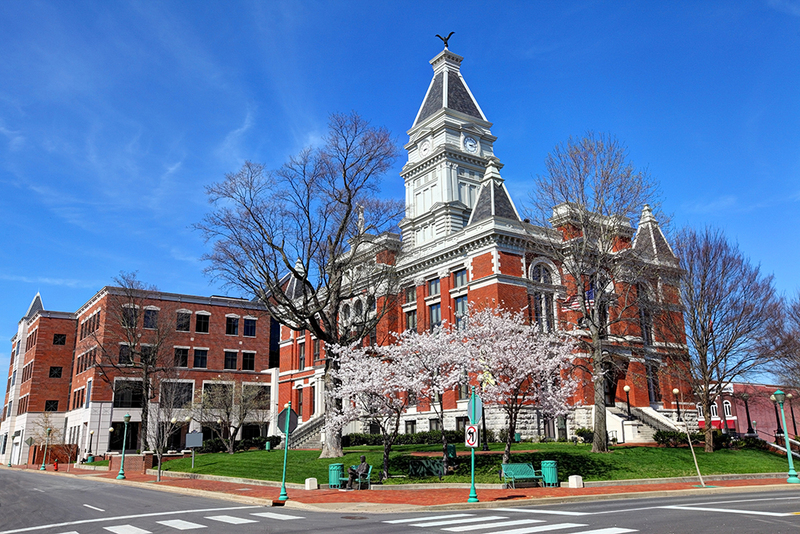 Located in the Northwestern part of the state, Clarksville has a population of 132,929. Clarksville is home to the Roxy Regional Theatre, Governor's Square Mall and the L&N Train Station (a restored train station). Major employers include Agero, Inc., Akebono brake division, American Standard, Google, and Fort Campbell, among others. The median home price $152,000- or $127 per square foot. Spring Hill, located 30 miles south of Nashville, is one of the fastest growing cities in the United States, let alone in Tennessee. Nearly a ghost town in the early nineties, today there are approximately 38,000 residents; between the years 2000 and 2005, the population doubled, with no slowing down in sight. Historically, this town was the site of the Civil War Battle of Spring Hill in 1864, and today is home to Dawson McAllister Ministries, UnitedHealth Group, and Newland Industries. This increase of population is due to both industry and residents from neighboring counties. Murfreesboro is the county seat of Rutherford County and 35 miles away from Nashville. With three beautiful parks, a popular Center for the Arts, plenty of shopping and dining, and five museums, Murfreesboro is on the move. Middle Tennessee State University is one of the city’s largest employers, followed closely by State Farm, Alvin C. York Veterans Administration Medical Center, Middle Tennessee Medical Center, and Verizon Wireless. The population increase in Murfreesboro is largely due to an extremely high quality of life; small schools, great neighborhoods, a rural setting, low crime rate, and friendly residents all make Murfreesboro a growing city. According to the United States Census an estimated 6,651,194 people live in the state of Tennessee. The state has 41,234.9 mi² of land area, which gave it a population density of 161.3 per mi². Here is a list of cities, towns & Census Designated Places across the state, with their estimated population as of June 2016 & the 2010 United States Census. For towns with fewer than 5,000 residents & Census Designated Places (CDP) where there was no population estimate available for 2016, the 2011-2015 American Community Survey 5-Year Estimates data was used. The two most common types of mortgages favored in Tennessee. Fixed-rate mortgages, (FRMs), include principle and interest in the monthly payment amount and are constant throughout the repayment period. Adjustable-rate mortgages (ARMs), include principle and interest that adjust periodically throughout the repayment period. Residents buying properties in the Nashville metro areas have higher conforming mortgage thresholds. A 30-year fixed rate mortgage is the most popular kind of home loan in the state. To qualify for a loan, the prospective homebuyer usually needs to have a solid credit and employment history. Most private banks give their best rates to borrowers with credit scores above 740, but loans with higher interest rates can be obtained with lower scores. Mortgage underwriters prefer debt-to-income ratios to be below 40%, but other factors are considered on the loan application. Generally, 20% of the home's value is expected to be put down, but there are some mortgages with less stringent requirements. However, these types of loans usually scrutinize the lender more closely, charge property mortgage insurance (PMI) and come with a higher interest rate than loans with a significant down payment. The piggyback loan can eliminate the need for private mortgage insurance by covering 80% of the home's value with the first loan, while the second loan helps to pay for part of the down payment. Borrowers who are able to pay more than the FRMs set monthly payments can reduce their debt faster, shorten the repayment period, and lower their monthly mortgage payments. Due to strong local home affordability many homeowners opt for a 15-year loan to build equity & pay off their loan much quicker. You can use this calculator to compare these 2 loan terms side-by-side. Adjustable-rate mortgages are loans where the rate has an initial introductory period with a low rate & then the rate resets higher after the 3, 5, 7 or even 10 year introductory period. Most home buyers prefer the certainty of a fixed rate & fixed monthly payment over variable rates. Balloon loans are similar to ARMs, but have even lower monthly payments & are then required to be paid off with a lump sum or refinanced at a future date. Adjustable-rate mortgages adjust periodically based upon the circumstances of the loan agreement. For instance, an ARM that adjusts on a yearly basis has an interest rate that will change every year. Because of this, the mortgage payment amount due will change each year. The advantage of an ARM is that sometimes the initial payment will be low, even substantially lower, than if the buyer used a fixed rate mortgage. The disadvantage to an ARM is that it is unpredictable, fluctuating in response to market conditions well out of the borrower’s control. Sometimes, the mortgage language will cap the interest rate adjustment once it reaches a certain rate. This protects buyers from massive inflation spikes, however yields are still close to long-term lows, leading most buyers to opt for fixed-rate loans. You can quickly compare fixed & adjustable loan payments side-by-side. A primary mortgage is the first or main mortgage placed on a property; a second mortgage is another mortgage placed on a property that has a primary mortgage. It is also common for existing homeowners to leverage either home equity loans or HELOCs to make home and/or property improvements. Both FRMs and ARMs are available in various lengths of time. First mortgages, second mortgages & home equity can be financed using either fixed or adjustable-rates. Refinance mortgages can be used to pay off first and/or second mortgages in situations where the borrower can get a lower rate, resulting in lowering their monthly payments or giving them cash they need to pay off other debt. Most government-subsidized or guaranteed home loan programs come with looser credit standards along with lower down payment requirements. Active or former members of the military can apply for VA loans . These types of loans are handled by the Department of Veterans Affairs and if eligible, borrowers can obtain loans without having to put money down. These loans apply to active duty, former, or spouses of military members. Tennessee also has special laws protecting military members (including National Guard) in the event of a foreclosure. There are several additional programs to assist aspiring home owners obtain a loan. Programs such as the Department of Housing and Urban Development's FHA mortgages are a popular option which assist borrowers at the federal level. USDA loans can help people with low incomes in rural parts of the state qualify for a subsidized low-interest loan. The Tennessee Housing Development Agency is a state program that assists residents. They offer a voucher program, which based on income level and immigration status people can apply for. The Housing Affordable Refinance program is a federally run program that helps borrowers refinance their mortgages. Much of the state of Tennessee has a low to very low risk of flooding, with a few counties having higher risk levels. Here are counties where flooding risk is above very low. Most of Tennessee has a very low earthquake risk. The corner of the state near where Arkansas, Illinois, Indiana, Kentucky, Tennessee, and Missouri converge there is a fault line which leads to moderate to high earthquake risk. The eastern portion of the state near Chattanooga & Knoxville has a parallel line where there is a low to moderate earthquake risk. Here are the counties with an earthquake risk above very low. The risk of wildfires is considered moderate in the eastern part of the state. Fire damages from wildfires & other types of fires are typically covered in most homeowner's insurance policies. If you own expensive items you may want to keep an up-to-date household inventory list which lists specific valuables, such as fine art & jewelry. Much of the state is considered to have a moderate tornado risk, with risks being higher in the central parts of the state near the Alabama and Kentucky borders. A basic homeowners policy should cover financial damages from tornadoes. Tennesssee has one of the lowest property tax rates in the nation, with an average assement of 0.54% in 2016. When combined with the state's affordable home prices, the cost to a median home valued at $181,331 is $981. Even in larger cities across the state the annual cost is rarely above $2,000 per year, when the nationwide average is $3,313. Tennessee is what is known as a recourse state. This means that if a home is foreclosed on and the sale price doesn't cover the amount that was loaned, the lender can seek repayment (also called recourse) of the loan. If the lender's loss isn't covered after the sale, they can seek a deficiency judgement against the borrower. In the event of a short sale, the lender can also seek a deficiency judgement against the borrower even after the sale is complete. A short sale is when a borrower sells their home for less than the debt balance and the proceeds go to pay off a portion of the loan. This is usually done to avoid a time consuming and costly foreclosure on the part of the bank and negative credit implications for the borrower. To avoid this, the borrower must obtain a statement that the lender waives their right to pursue a deficiency judgement after the short sale. Usually there are two ways this can be done: either through the legal system (judicial foreclosure), or through non-legal means (non-judicial foreclosure). Most foreclosures in the state take place outside the court system. Residents are given a minimum of twenty days' notice of the foreclosure. State law allows a buyer to repurchase, or redeem, their home. If the contract or deed they signed at the time of the loan allows, borrowers have up to two years to potentially buy back a home. If the loan was high-cost, the borrower can cure the default at any time prior to three days before the sale. The lender must give the borrower notice of this option at least thirty days prior to the foreclosure. Tennessee is an inviting place for prospective homebuyers, with a business-friendly atmosphere, healthy economy, and reasonable home prices. While Tennessee may not have the as many homes for sale as some of its counterparts such as North Carolina, it is still a very desirable & a quite affordable place to live. 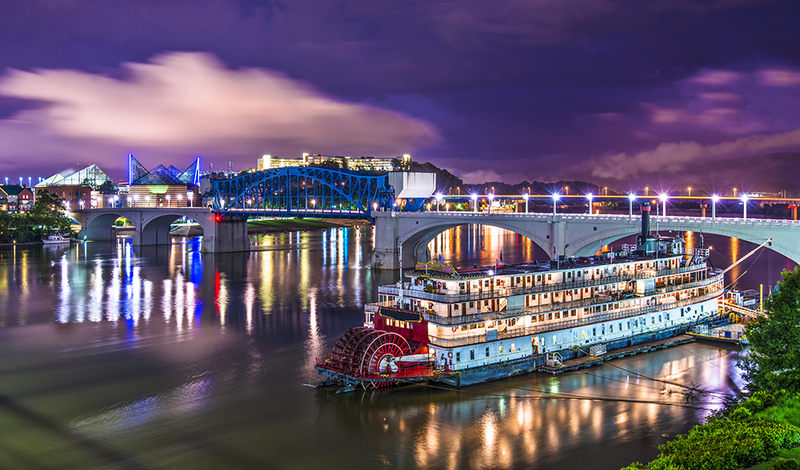 Tennessee affords a great number of opportunities to its residents, including beautiful scenery, friendly people, amazing culture, and fascinating history. The real estate situation in Tennessee is stable, with properties available for virtually every buyer. The state has a wide variety of mortgage products available to get potential homebuyers into their dream houses in some of the fastest growing, most popular cities in the country.